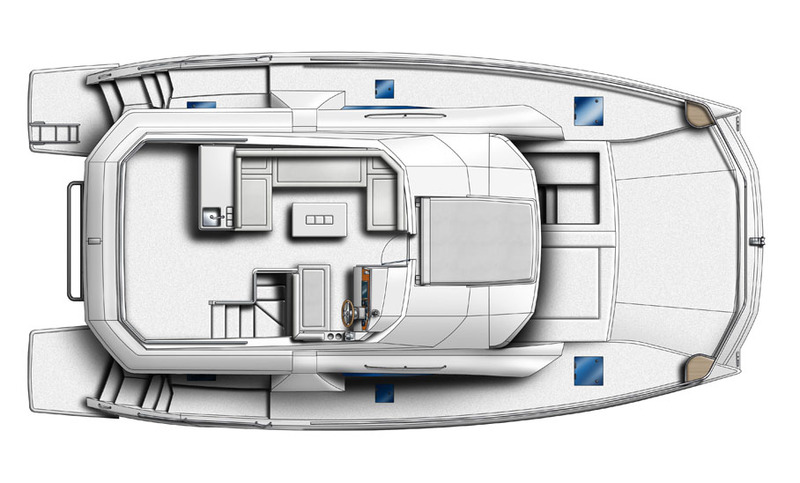 After completing the Leopard 51 PC, we continued working to find ways to further improve on the powercat hull efficiency. 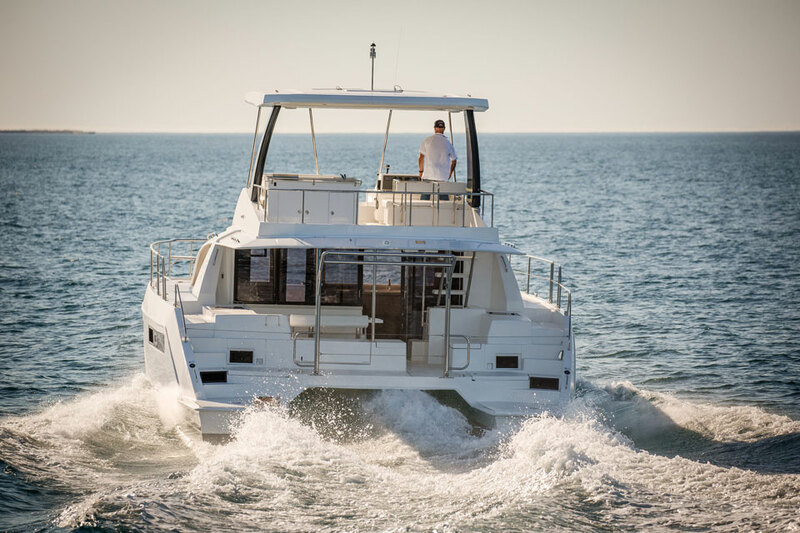 The extensive testing program from the 51 helped us to do this and the net result is a yacht which gets very close to the speeds the 51 can do despite being 8 ft shorter and having 220 less Horsepower fitted. 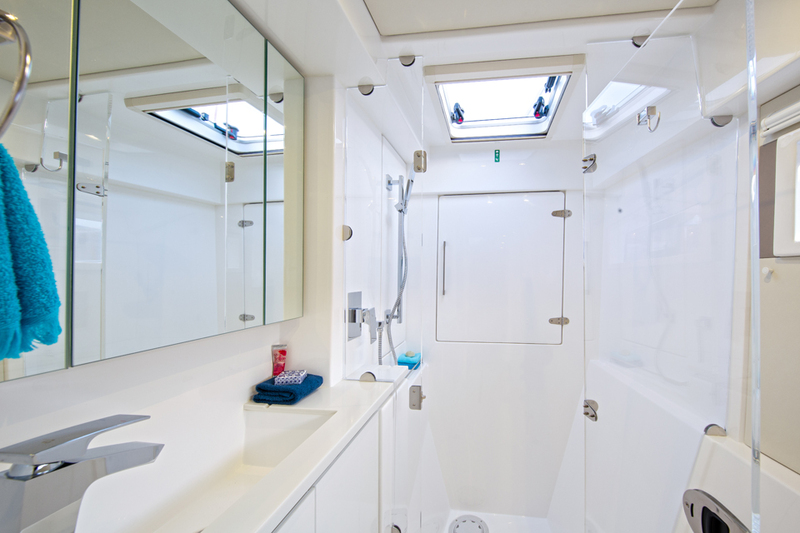 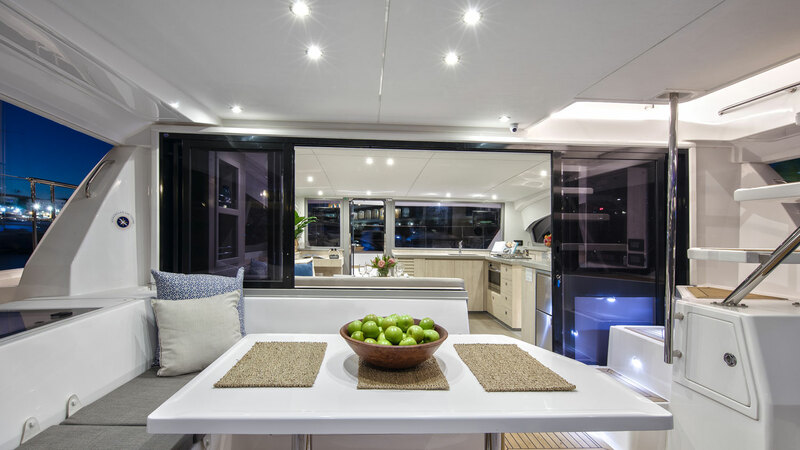 Space wise this yacht gives you the same dramatic difference as we experienced on the new Leopard 40. 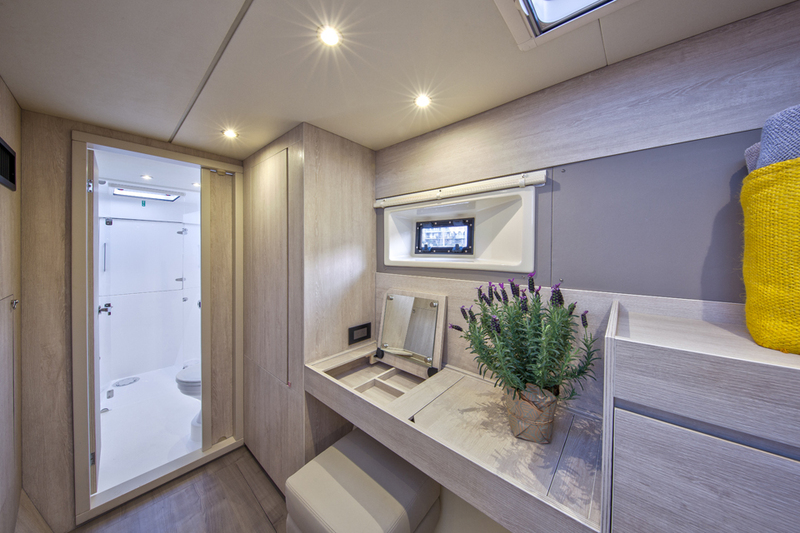 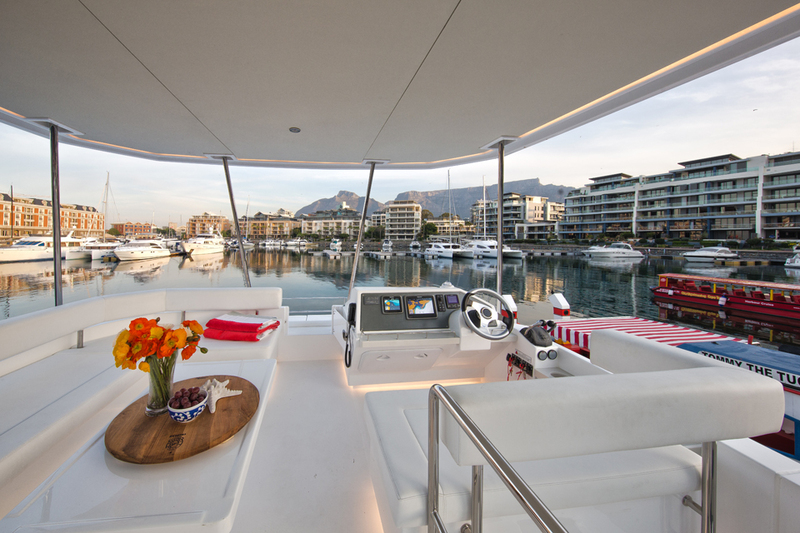 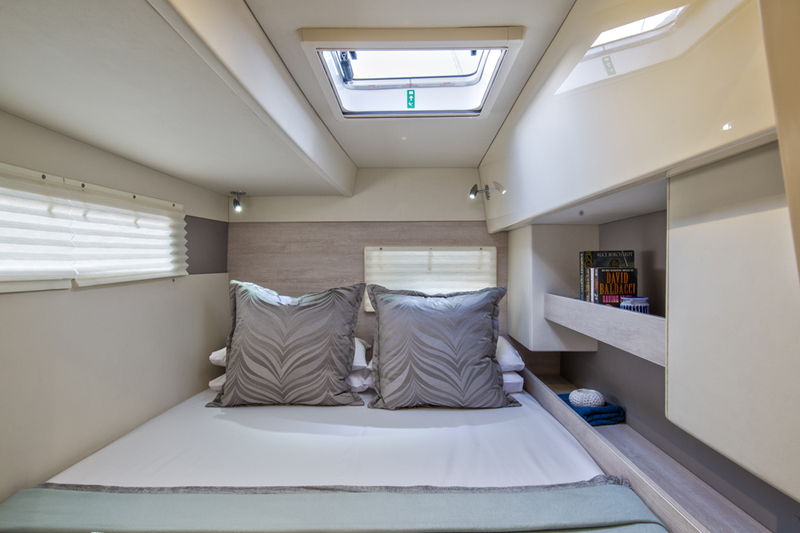 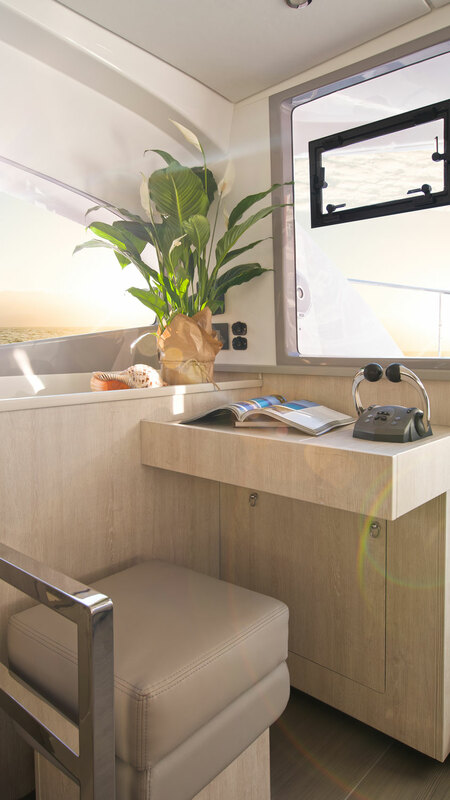 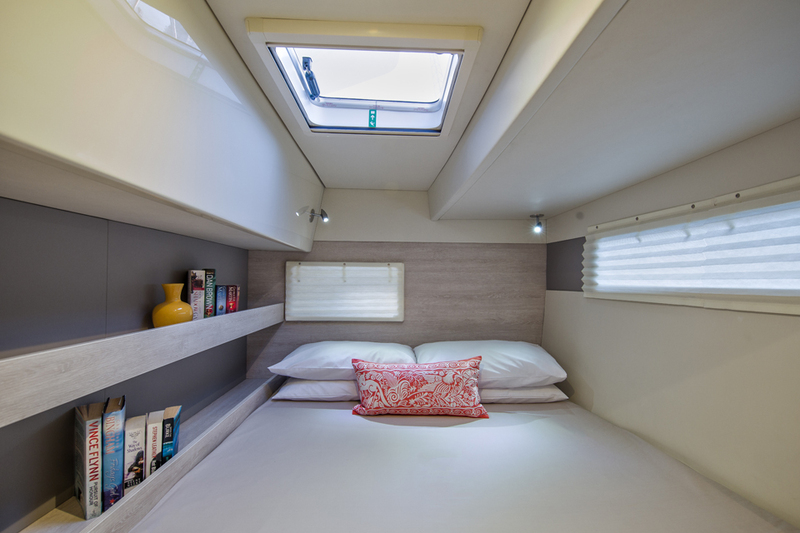 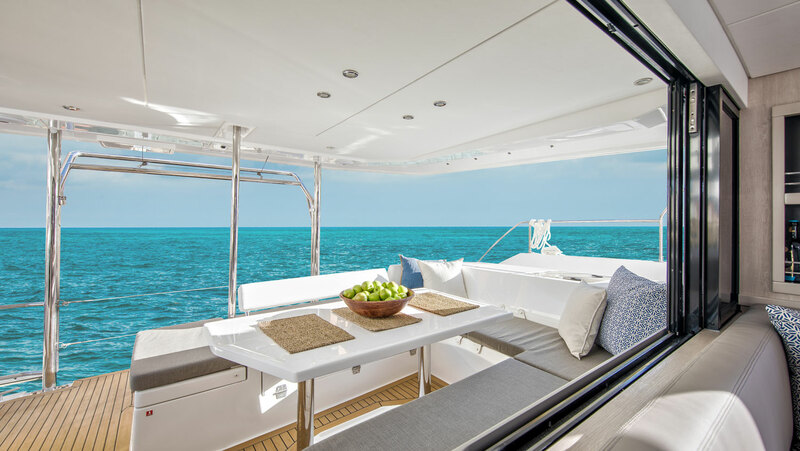 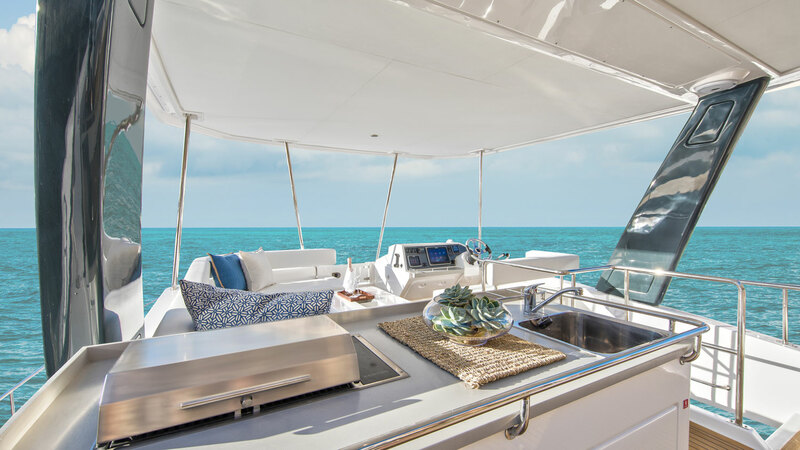 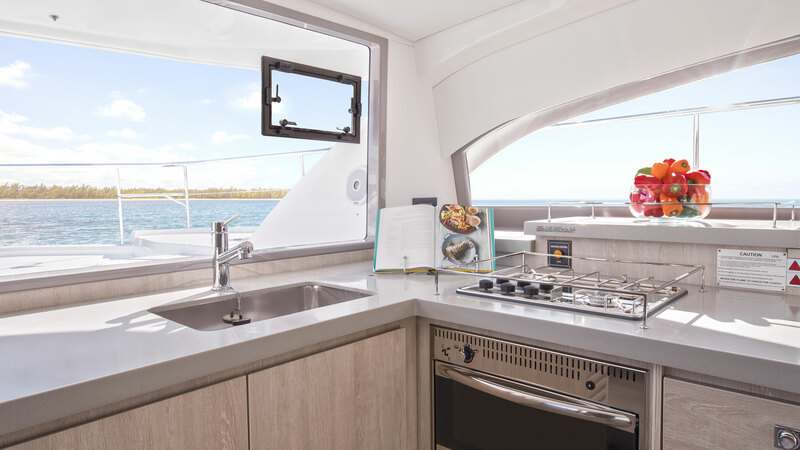 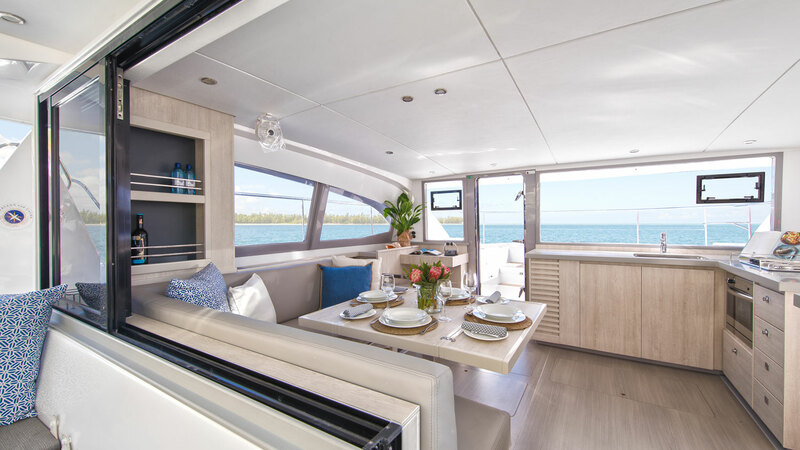 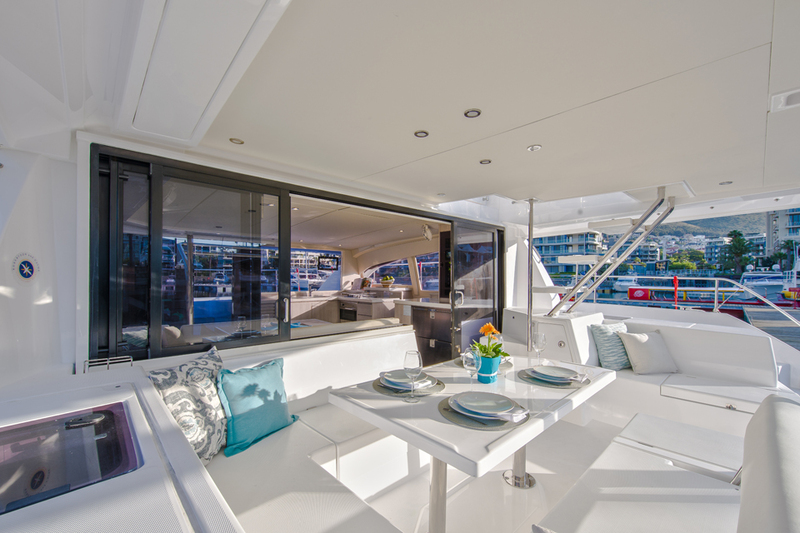 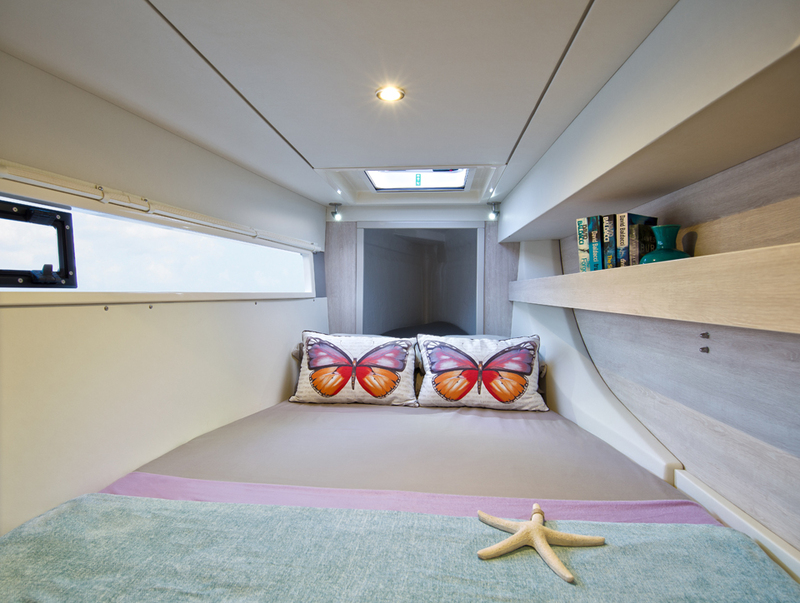 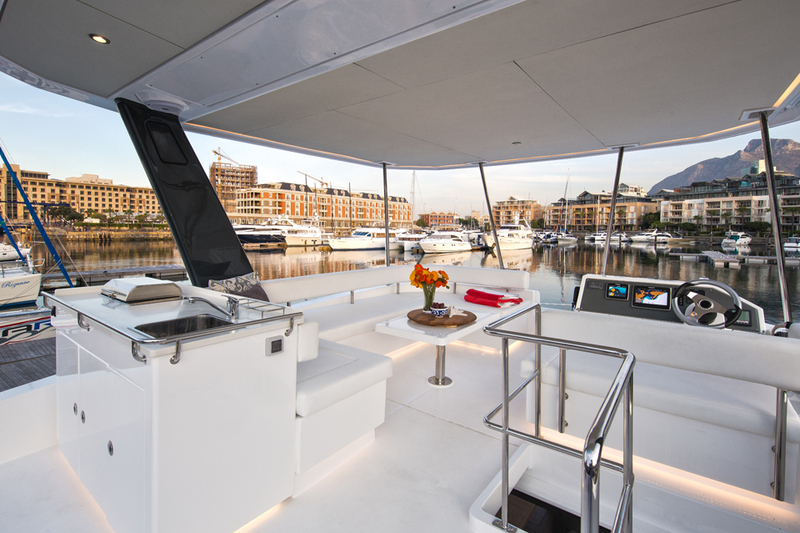 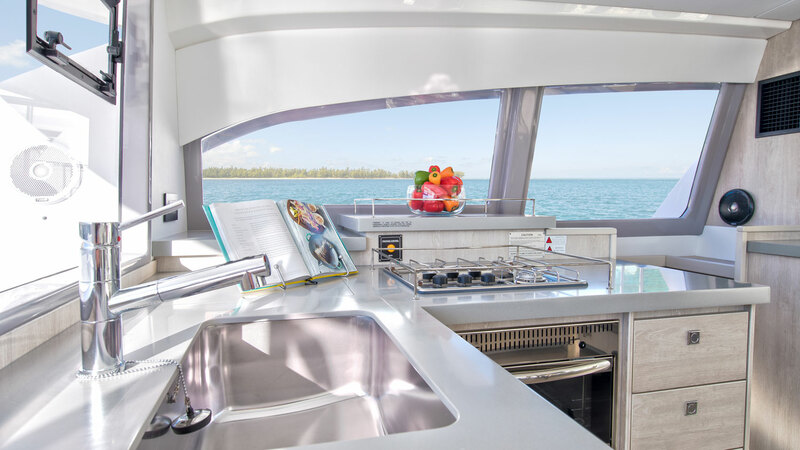 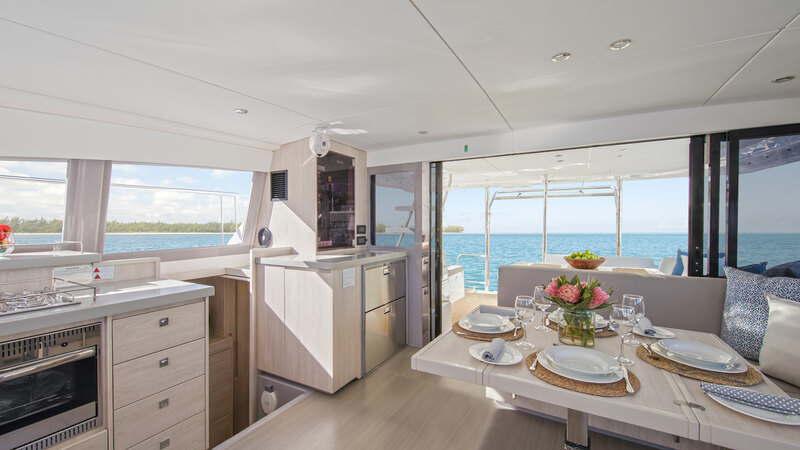 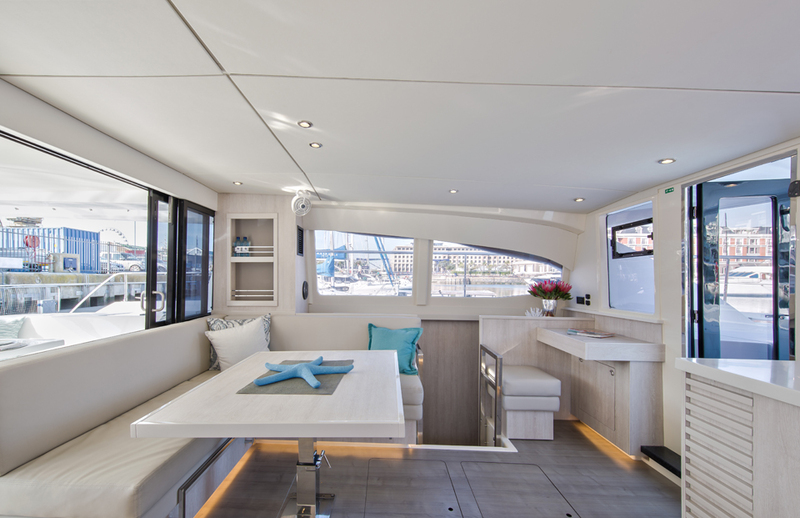 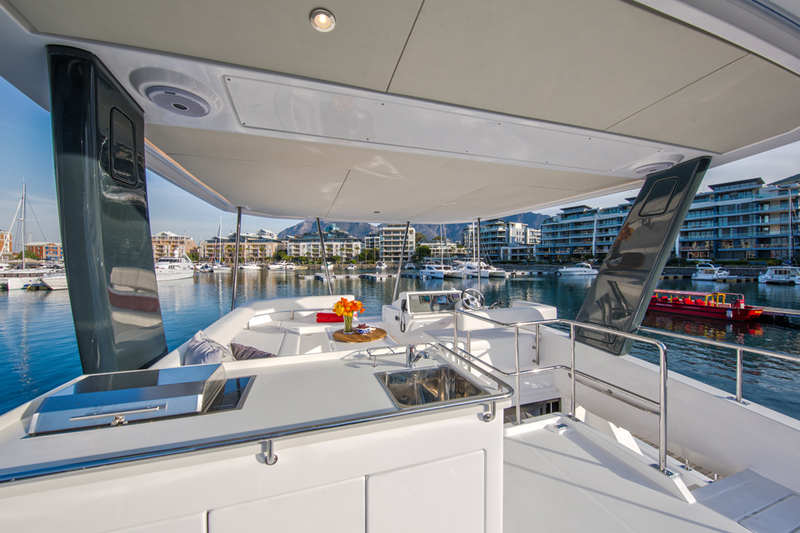 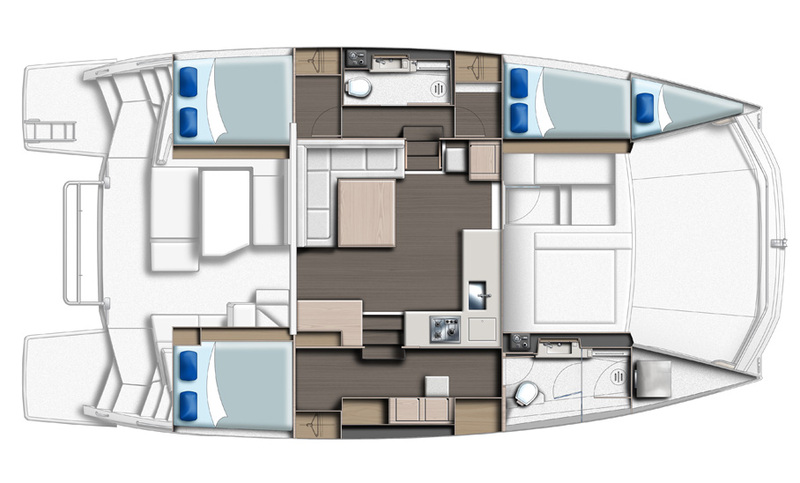 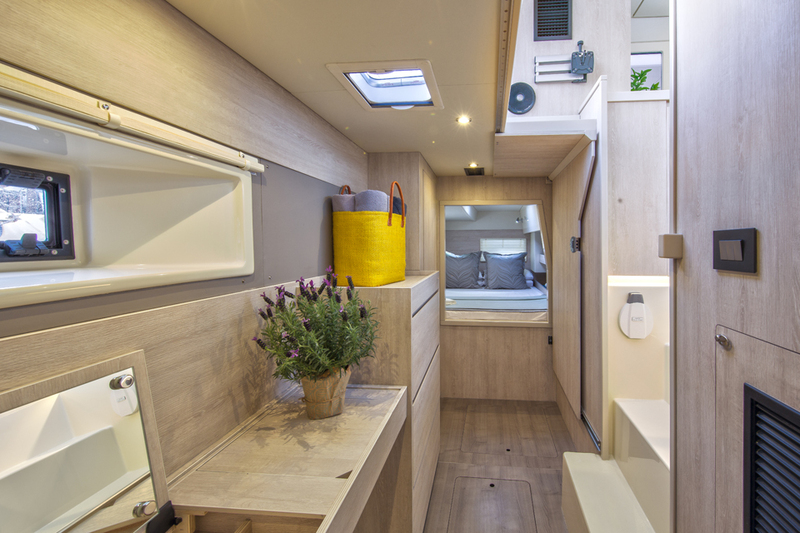 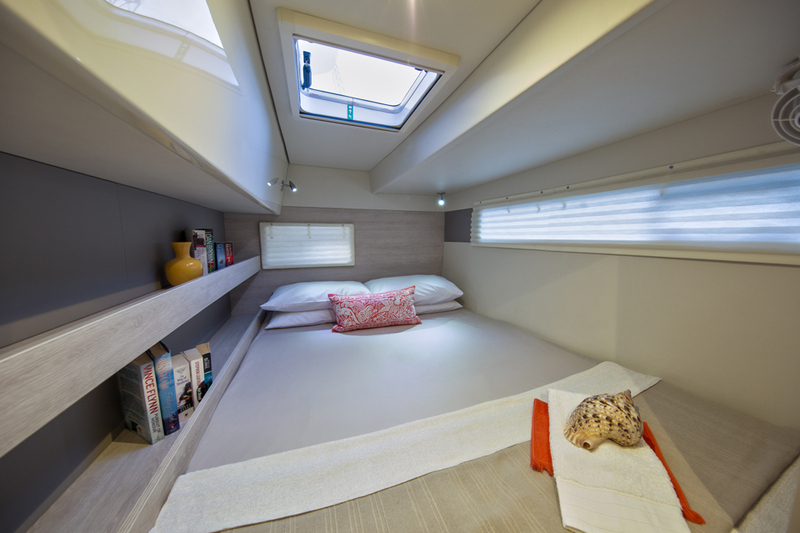 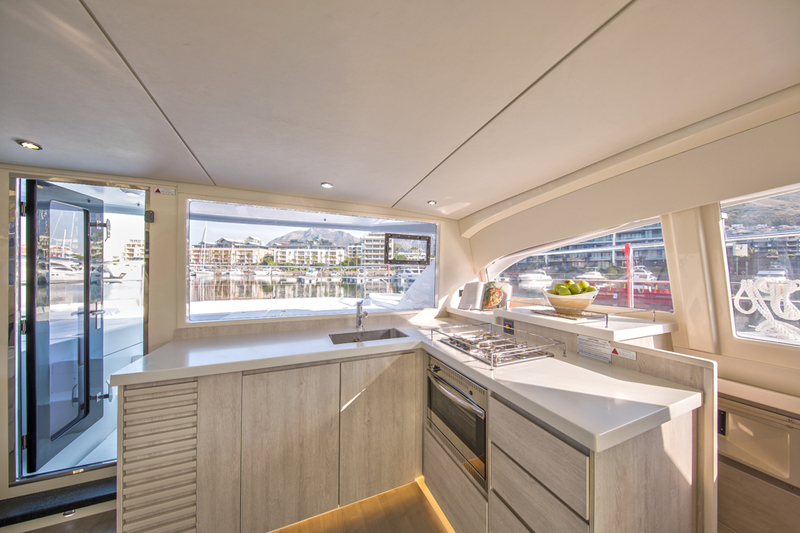 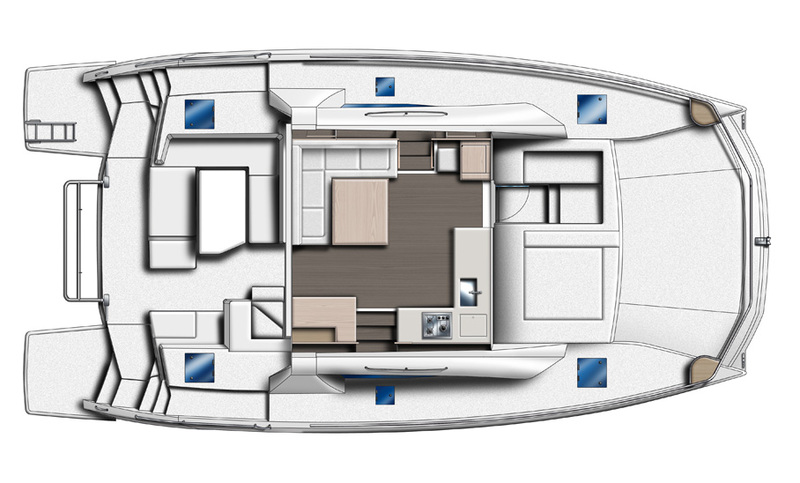 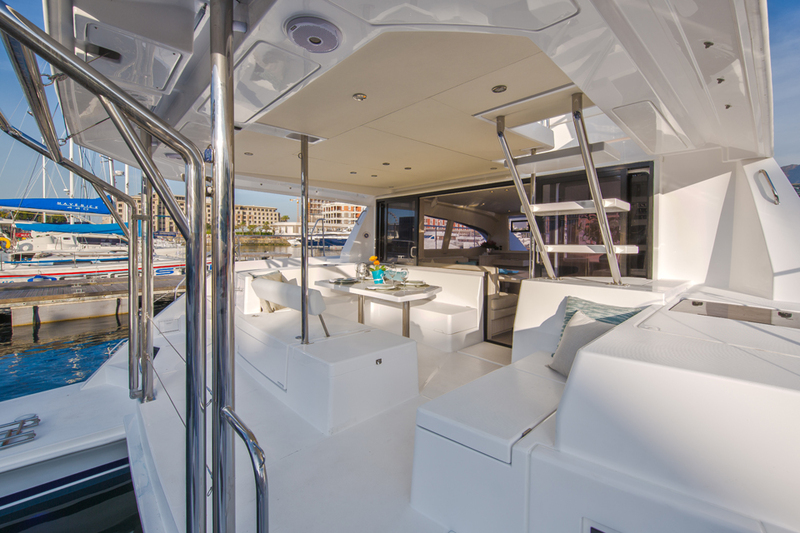 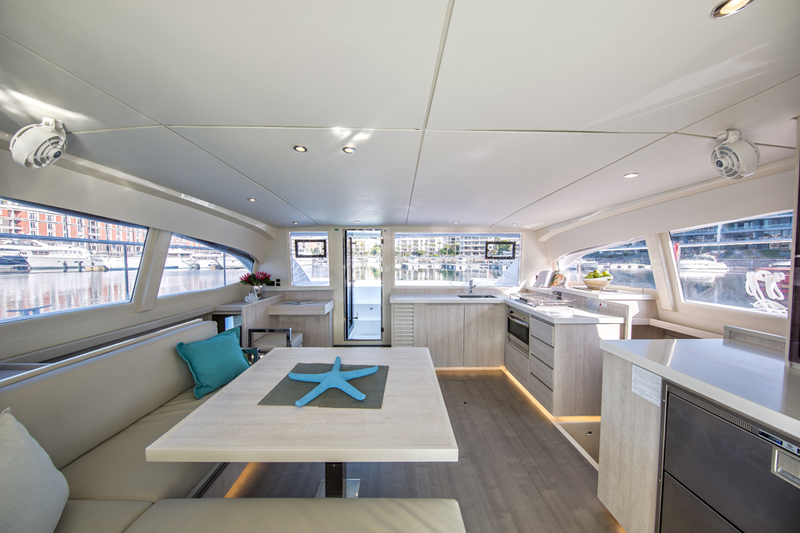 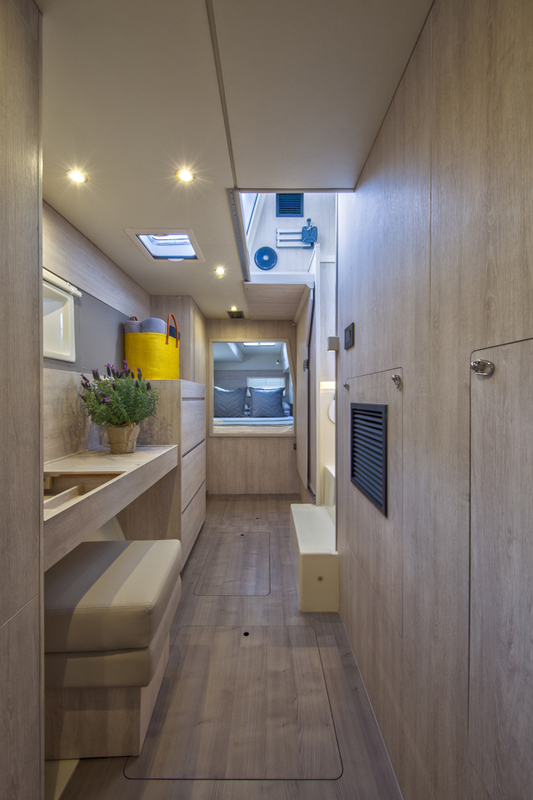 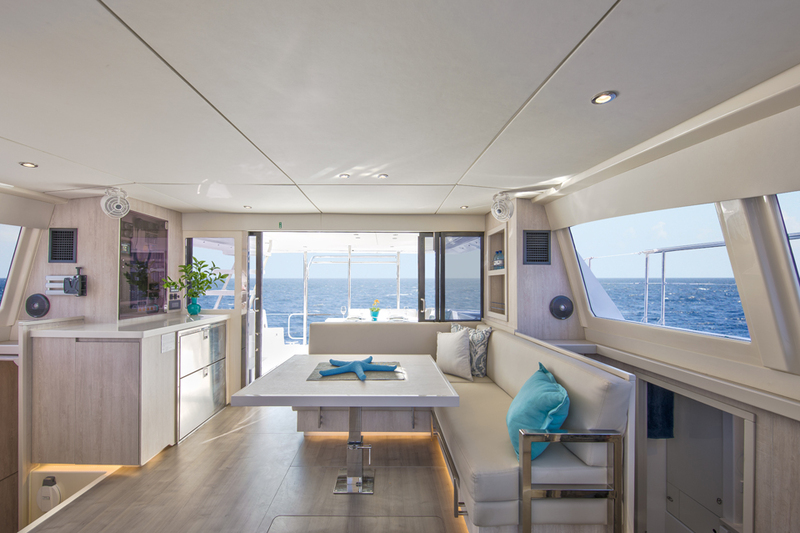 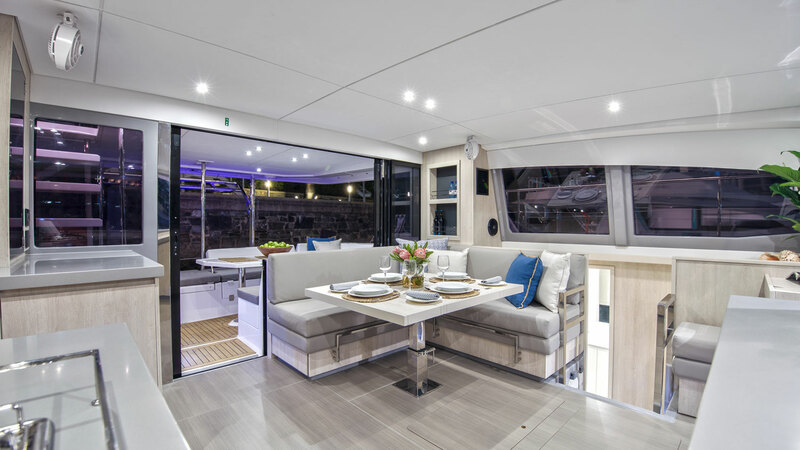 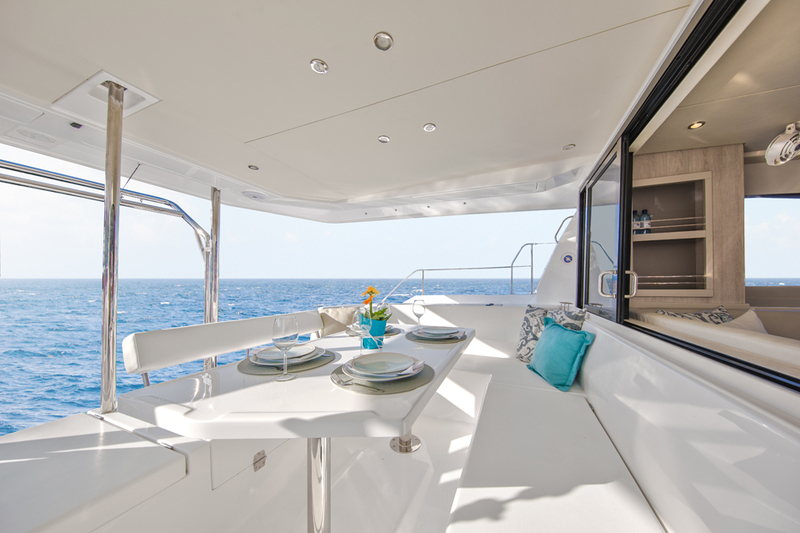 The interior volume is 30% bigger than on the old 39 PC and the flybridge area starts challenging that of the 51 Powercat. 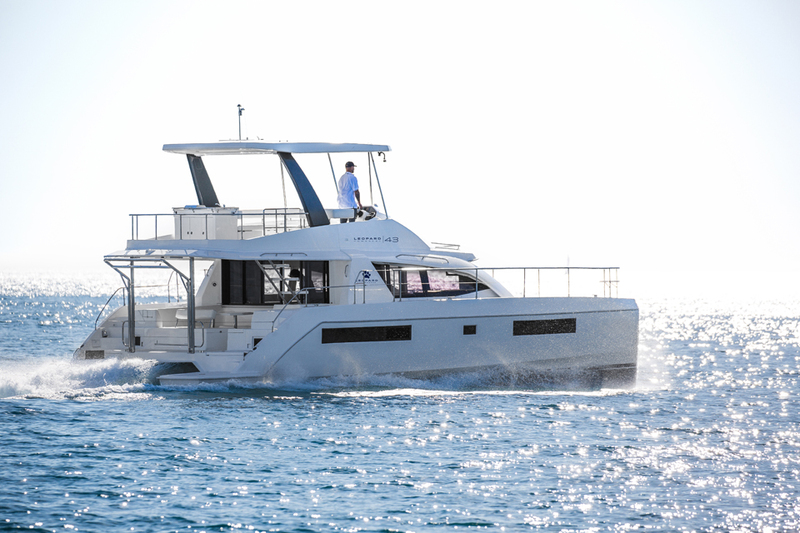 All Leopard Catamarans are NMMA and CE Certified. 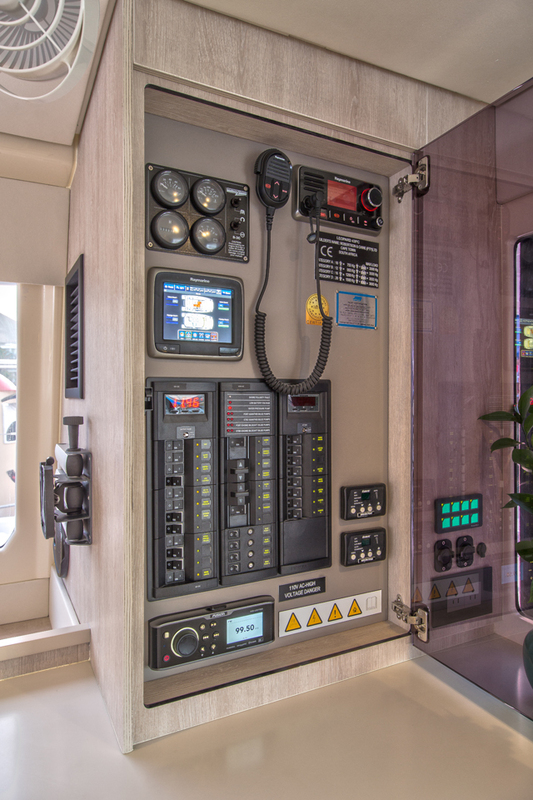 Speed and range figures can vary depending on measurement conditions and fuel quality. 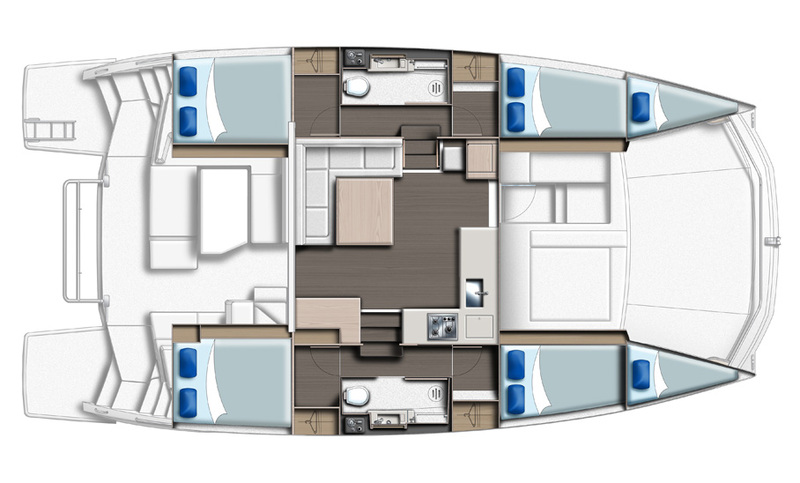 All specifications are to be confirmed by customer prior to purchasing.